Finding an ideal Fremantle accommodation in today’s day and age can be a tricky task. Add the number of Fremantle hotels available and this process quickly becomes a daunting task. This has ultimately led to many looking for alternative Fremantle accommodation. One such alternative is serviced apartments in Fremantle. So what are they? Well, in simple words, they are fully-equipped fully furnished accommodations. Like Fremantle hotels, they are designed for short, medium and long-term stays. Furthermore, they have useful facilities and equipment designed to make your stay as comfortable as possible. That said, there are several reasons why you should stay at a services apartment during your next Fremantle visit. For instance, Fremantle serviced apartments have the ability to offer a homely feel. If you are still in doubt about booking serviced apartments in Fremantle, here are 5 reasons to convince you. Settling for serviced apartments in Fremantle can help you save a few bucks. Unlike Fremantle hotels, serviced apartments in Fremantle are charged based on apartments. In most cases, they usually allow you to house two to four people. So if you are travelling with a crowd of four, you can save on your accommodation cost by booking a services apartment. Plus, you’ll get beneficial rates that are available for longer stays. This means you get to enjoy the apartment with the satisfaction of getting value for your money. Another plus with serviced apartments Fremantle is full kitchens. This allows guests to cater for themselves ultimately saving you money you would have used at a restaurant. They also have laundry facilities, which is another cost saving factor. It does this by eliminating the need to do laundry services externally. Also, the internet and telephone cost tends to be cheaper than the average hotel offers. Serviced apartments Fremantle often offer a pullout bed in the living area for an extra guest. This incurs no extra cost as in the case of a hotel. Serviced apartments Fremantle also have Fremantle market located close, where you can go buy your groceries at very affordable prices. 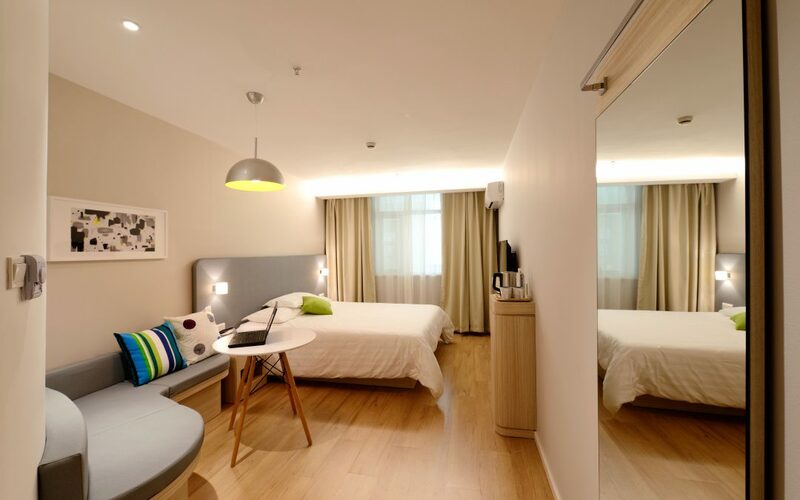 One of the main benefits of a serviced apartment is spacious. With Serviced apartments Fremantle, you get a private living and kitchen area. This means that you can make yourself feel at home and enjoy your stay at your own pace. If you are travelling as a team, serviced apartments Fremantle can prove to be ideal. With them, you will be able to stay together and socialize while enjoying some privacy and personal space. Serviced apartments Fremantle usually have at least double the space of a hotel room. That much space is needed to fit in a well-equipped kitchen, separate living/lounge and a bedroom area. Hotels may offer some level of convenience but they provide limited room. This cannot match the space available in serviced apartments Fremantle. If you are planning to have a long stay in Fremantle, your luggage and supplies will be more than that required for a short visit. Serviced apartments offer a homely setting with plenty of rooms and storage. This is perfect for families with young children. Serviced apartments Fremantle gives guests the flexibility to live the way they want to. You can dine out at a restaurant or cook for yourself. You can conduct meetings with clients or entertain guests in the living area. Furthermore, you are free to come and go as you choose, enabling you to do things that meet your schedule. The availability of the facilities in the apartment means that you can work or play when you want to. There is also an added space if you want to have guests or hold business meetings. Serviced apartments Fremantle can offer an apartment with several bathrooms and bedrooms which branch off from one central living area. This can work well for colleagues, families, or groups travelling together. The duration of the stay has flexible terms. This makes serviced apartments attractive for both private bookings and companies. Renting a two or three-bedroom apartment will provide more space for a family or group than a hotel room. This gives more freedom to those parents who have children and wouldn’t want to disturb their evening sleep time. Moreover, if a friend or family comes for a visit there is usually a sofa bed to accommodate them. This comes at no extra charge, a service for which hotel guests pay for. Another benefit of staying in serviced apartments in Fremantle is the fact that they feel like a home away from home. A good number of Serviced apartments Fremantle are located in the heart of Fremantle. These make it possible for you to access some of the common facilities within Fremantle. For instance, if you choose to party, you are sure to find a place and if you choose to dine out you are sure to have a place. You’ll also get to enjoy the local vibe and culture given that they locate in normal neighbour-hoods. They also provide a secure, comfortable environment that will make you feel at home. Serviced apartments in Fremantle usually offer a separate living and sleeping space. It also offers all the entertainment equipment you could possibly desire: TVs, DVDs, a private telephone line, and music systems. Using serviced apartments during your business trip will also have you feeling at home during your time away. Serviced apartments in Fremantle offer a great degree of privacy. Furthermore, these apartments don’t have early morning interruptions from housekeeping. Unlike in hotels where you are highly likely to be disturbed by housekeeping, serviced apartments allow you to decide when you want to housekeep. Some people don’t feel the need to call room service for every little thing. Some just like to come and go without making any fuss and attention and this is what they get with serviced apartments. This ultimately makes them ideal for early riser or a night person. You can eat, relax and live at your own pace and expect no one to disturb you. All you need is to book your own apartment. Once you’re done, that’s it. If you are at Fremantle for business, you can host your meeting in your living room. If you want to entertain family or friends, you can relax in the privacy the apartment with no fear of disturbing anyone else. Many serviced apartments include a weekly maid service, instead of a daily clean that you would get while staying in a hotel. This prevents intrusions making the guests feel more comfortable. If you’re the type of person that needs regular maid service, that can be arranged too. Having the kitchen facilities gives you the option of eating in the privacy of your own accommodation. When you choose to stay at serviced apartments in Fremantle, you are sure to involve yourself in the city’s people and culture. It also offers a perfect opportunity to explore your surrounding amenities and attractions like the Marine time museum, Fremantle prison and the fishing boat harbour. If you would like to stay at one of the best-serviced apartment in Fremantle, do get in touch with Rialto Fremantle. With Rialto Apartments Fremantle, you can expect a perfect Fremantle accommodation that includes a number of features to make you comfortable. You can contact Rialto Apartments Fremantle over the phone using +61 403 180 206.